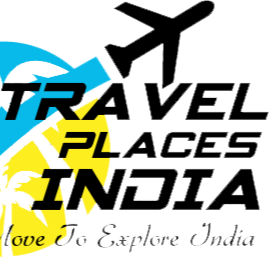 TravelPlacesIndia blog helps to travel decision-makers identify travel places , travel tips to enhance travel processes with amazing trip advice. This blog delivers all unique travel updates and details of original content. You can find travel tips, travel places in India, travel guides also the best way to plan a cheap trip with your friends, partner and family. Home / Life / How To Write Rose Day Message - Ideas! How To Write Rose Day Message - Ideas! Rose day is the first celebration of Valentine’s week and it falls on 7th February every year. Make your Rose Day memorable by wishing your beloved with an impressive red rose with a message. It is celebrated with big happiness and joy by the youths as well as other people of any age group. So, inspire to your better half by sending these Rose day message to celebrate this auspicious day. If you want you can download these messages and send to your partner on any social media account. Bring a new energy with a fresh sparkling zeal into your relationship to make your bond stronger. Love is in the air and everyone eagerly waiting for this particular week to get started the new connection to your partner. This day is celebrated with lots of zeal across the world among couples. Lovers buy roses and present them to each other and gift them on this special eve of Rose day. Well, there are different colors of roses that indicate different meaning according to their colors. Here we gonna tell you the exact meaning of roses on this special eve. Check out the list of different colors of Roses that helps you to express your exact feelings of your heart towards the person. Red Rose – It indicates the love feelings to your loved ones and expresses your affection for your special one. Yellow Rose – It is given to that person whom you wanna to make your friend or thankfulness to your best friends by presenting the yellow roses. White Rose – The white rose depicts the purity & peace between the fight. Pink Rose – It shows the admiration & thankfulness to your better half or someone special. Lavender Rose – The lavender rose is the symbol of love at first sight. Orange Rose – It is the sign of desire & wants to someone better in your life. Dark Pink – It is the symbol of pleasure & appreciation. So, give appreciation to your partner with a pleasure to make your life complete. Roses surely helps you to express your true feelings to your loved ones. So, for this special occasion create an aromatic magic into your relationship. And let roses make a beautiful magic into your relation. Sit a corner of the bench of your garden and share the beautiful lines of Rose day messages with your partner. Roses are always denoted deep love, affection, appreciation and lot of more expressions. Apart from real roses, expresses your feelings of love with these special messages to wish your partner through these Rose day messages. Start pampering to your partner with some amazing surprises that cherish your relationship lifetime. Let roses create their magic on your beloved ones. Here is a good collection of Rose day messages that helps you deliver your feelings to your partner in this special occasion. Rose day message collection brings a happiness into your relationship and spend some quality time to your soul-mate and shows your affection towards your partner. So, share these rose day messages to your partner and share with us your small love story.